I shot this simply because of the mountains in behind. I liked the pinkish colour. This view use to be unobstructed ,but it now has many houses along the shore. 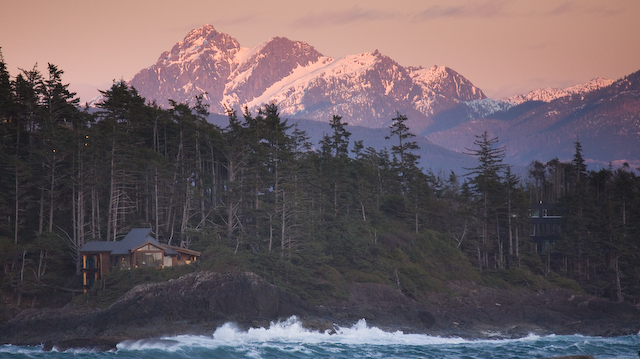 Find The Best of Tofino Photography at the new Tofino Gallery website.